FORGET THE BOAT RACE, HERE COMES THE BOARD RACE! 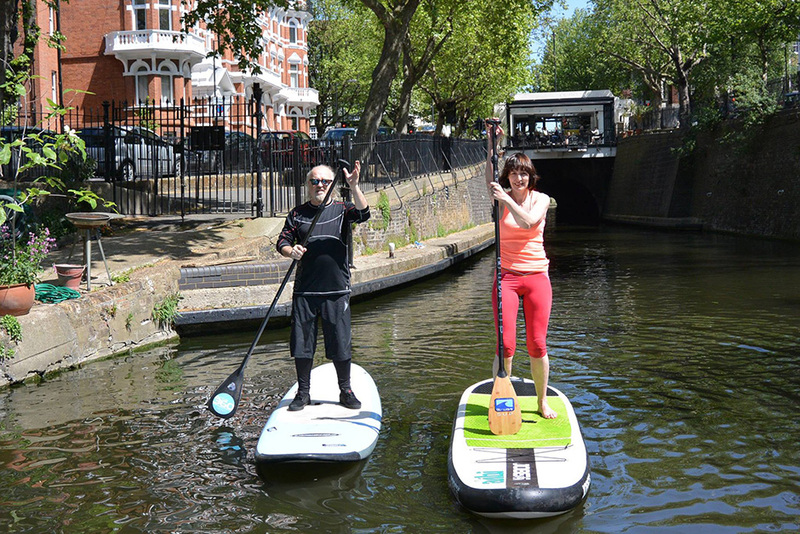 Crewroom launch ‘SUP London’, capital’s first inner-London stand-up paddleboarding club. Award-winning sportskit company Crewroom, who clothe the Oxford and Cambridge Boat Race crews, are set to conquer the water again – only this time, they’re standing up. The Putney-based firm, famed for kitting out Oxford and Cambridge rowers, have joined forces with Britain’s biggest Stand-Up Paddleboarding school, Active360 to launch ‘SUP London’. The new club, which will be officially declared open this Saturday 16 May at 12 noon, reflects a UK boom in popularity for stand-up paddleboarding (SUP), which is already the world’s fastest-growing watersport. Around 50,000 people are expected to enjoy SUP across the UK this year, up on last year’s figure of 35,000. The sport is increasingly popular with newcomers and more experienced paddlers, who range from aged 7-70+. More than 50 per cent of SUP paddlers are women. Crewroom has also created a special new range of kit designed to support stand-up paddleboarders, including The Elemental Paddle Jacket, which has a waterproof shell, soft carbonised bamboo lining and straps to attach lights or your paddle when not in use. Also proving popular are Crewroom’s Elemental Paddle Gloves, mitten-style gloves that use neoprene to protect your hands from the wind and rain and whose palms have a silicone grip. Medical experts and sports enthusiasts agree there are many health and fitness benefits to be gained from SUP, which was recently described (in an article in The Times newspaper) as: “The best thing you can possibly do for an expanding middle-aged waistline and poor posture”. Paul Hyman, Founder of Active360, will lead his team of coaches this Saturday. One of the UK’s most experienced SUP guides, Paul and his school have coached more than 6,000 newcomers to the sport since Active360 was founded in 2011. SUP London will be based at Crewroom’s HQ on The Putney Embankment, (postcode SW15 1LB). Saturday’s programme will include demonstrations, two-hour trips up the River, some SUP racing and 45-minute taster sessions, open to all. Bill Bailey and journalist Zoe Williams at Paddington Basin. Look out for Zoe’s interview in the Guardian in July.